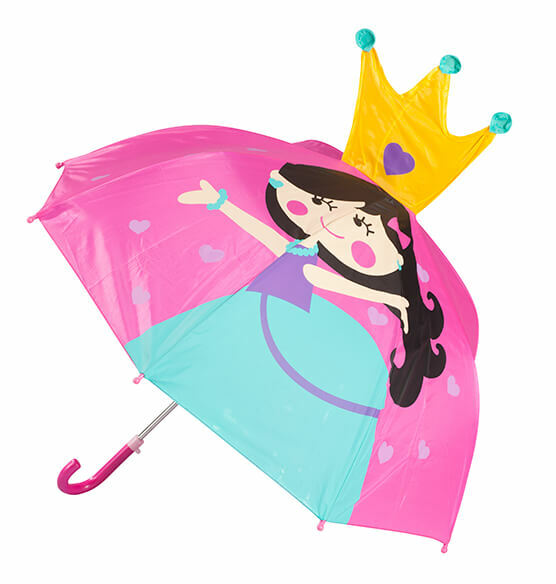 Your little "royal highness" will love dodging raindrops in this Children's Princess Umbrella—especially when it's personalized just for her! 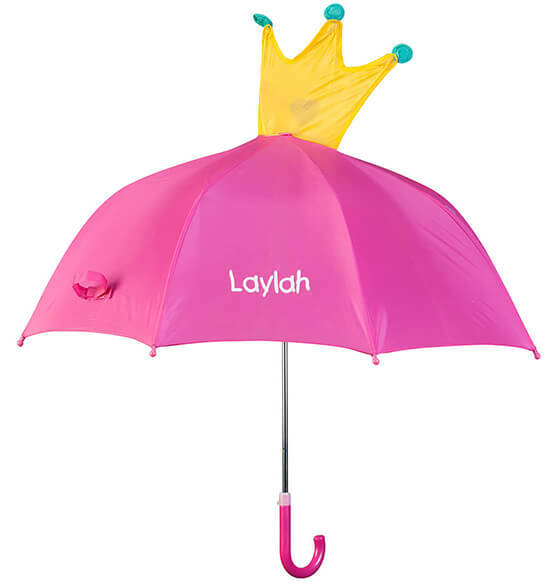 Child-friendly design features tipped ribs, and the lightweight, custom umbrella's j-curve handle and easy open/close mechanism make it simple for little hands to operate. 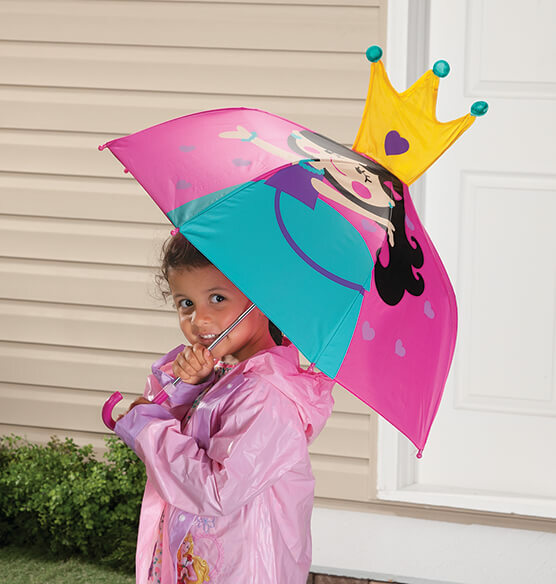 Darling princess graphics and a tiara on top provide the style kids love, and we'll embroider your child's name, adding to the fun!